Comparison between Drupal and other CMS | Digital Circus., Inc.
One out of every 50 sites worldwide uses Drupal! Out of all websites worldwide, sites that use Drupal make up 2 per cent. This means that one in every 50 sites uses Drupal. The CMS with the highest usage in the world are all open-source. The big three open-source CMS, namely "Drupal", "Wordpress" and "Joomla! ", combined make up a total of over 70% of the market share. Up until now, many businesses were concerned about open-source software, saying that "Security is a cause for concern." and that "It's unclear where the responsibility lies". However, with a larger number of achievements and use cases being made public, open-source CMS are being used by an increasing number of businesses as an efficient way to create and operate websites. Of the open-source CMS, Drupal is the most developed high-end CMS for the enterprise market. Compared to Wordpress and Movable Type, it has the characteristics of being more-easily customizable and having extensive performance-tuning features for large-scale sites. Characteristics The DB-type open-source CMS that is most widely-used worldwide. Custom modules are plentiful and a high-level of customization is possible. Aimed at mid- and large-scale sites. The blog-type open-source CMS that is most widely-used worldwide. The community is very active and themes/plug-ins are very widely available. In Japan, Six Apart, Ltd. sells and provides support and it has been used from when CMSs first became widespread. Use overseas is rare. 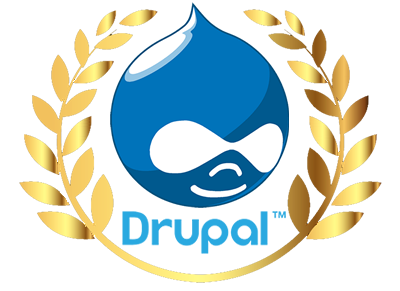 Drupal, while being an open-source CMS, is known for being a software that competes with high-end commercial CMS worldwide. 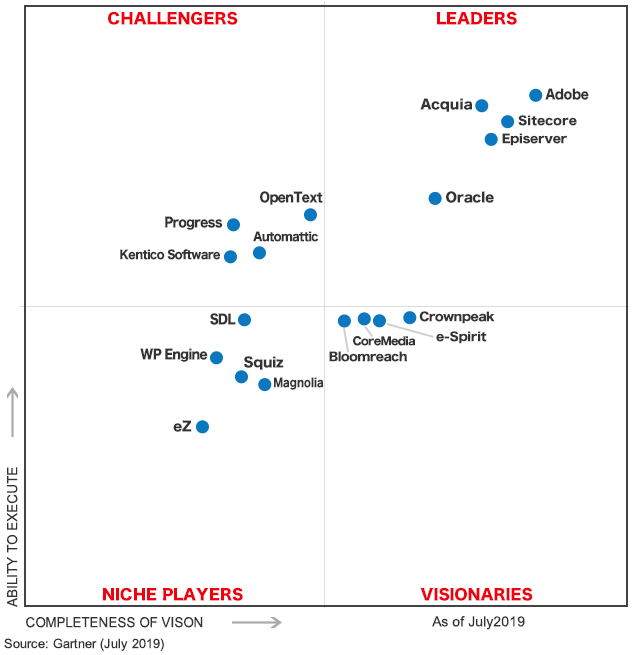 In the 2014 Gartner Report, it was selected as a leader in the Web contents management platform field along with Adobe, Sitecore, IBM, HP and Oracle.